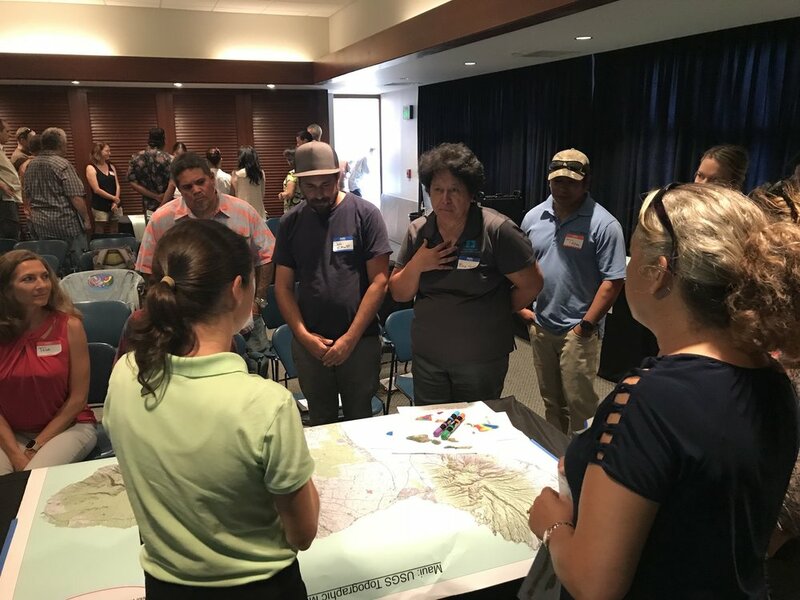 Time: 4:00 - 8:30 p.m. 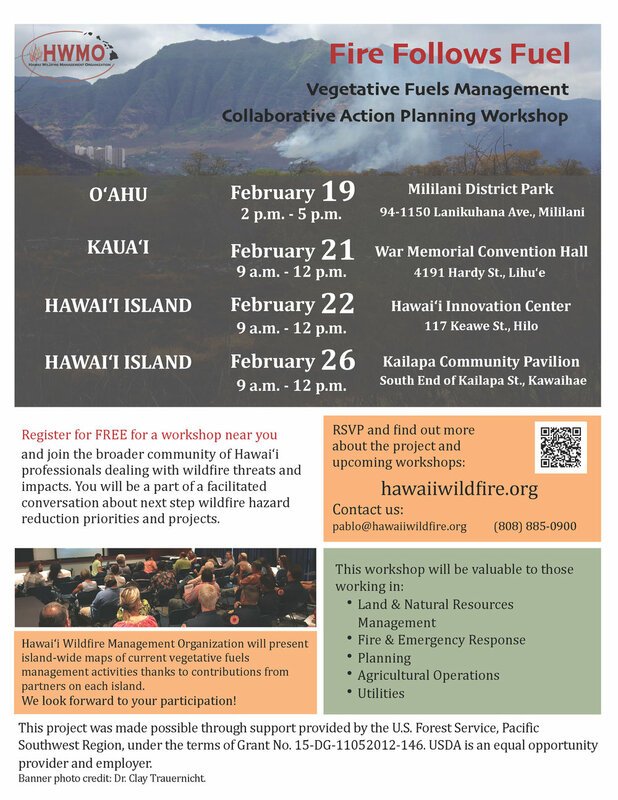 Your participation in this workshop alongside fellow stewards of the Koolau Mountains will go a long way towards identifying key areas for managing wildfire hazards, which will improve collaborative and funding capacity for fuels treatment projects on Oahu and the rest of the state. 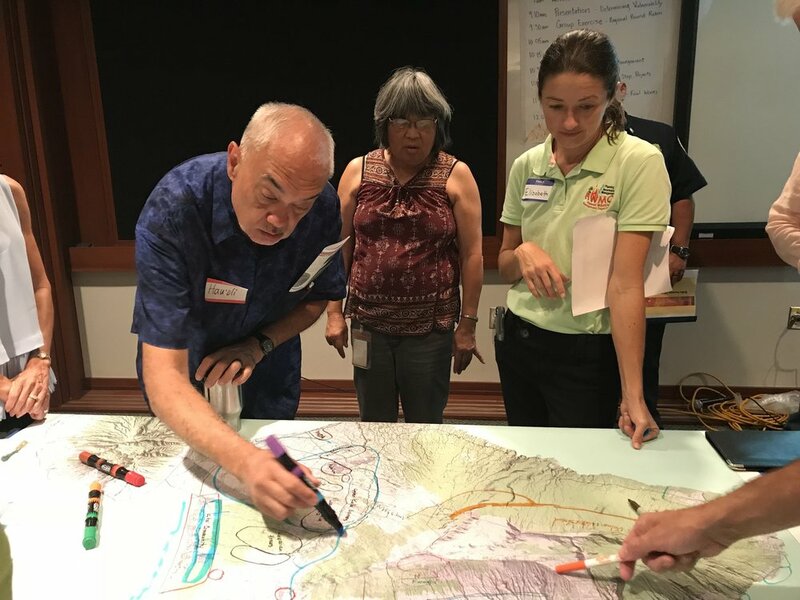 We request your participation if you are familiar with the locations of current vegetation management activities and the details of those projects on the Koolau Mountains.